Ever wondered what those flowers are called? We're here to help you learn with this gorgeous bouquet we're about to send out as a special Happy Birthday wish! Summer is ALL about dahlias, we adore them. 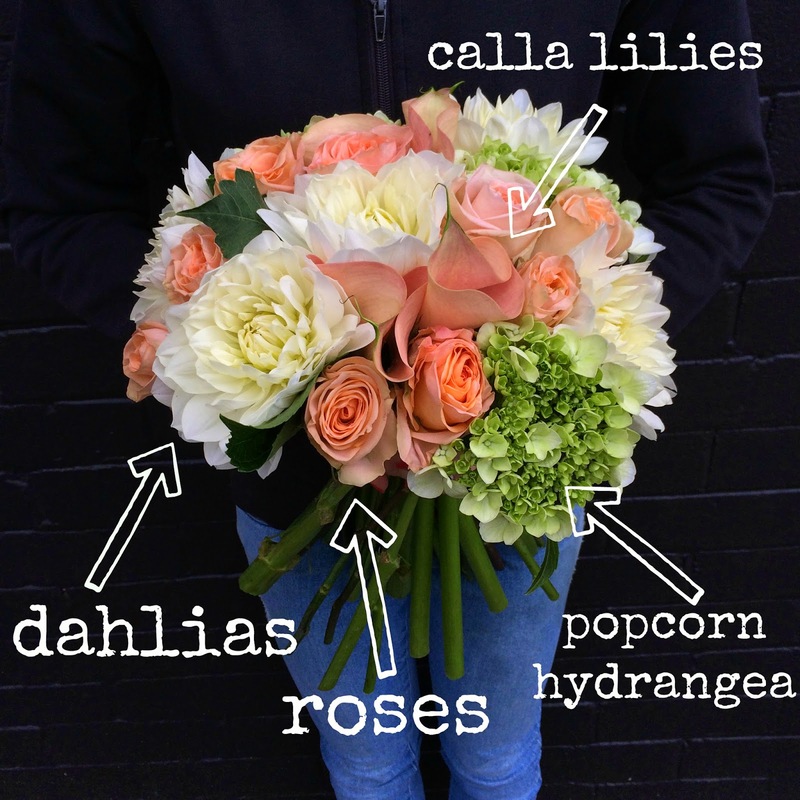 Just a hand-gathered bouquet of dahlias, popcorn hydrangea (another great flower name! ), roses and peach toned calla lilies. Just beautiful.